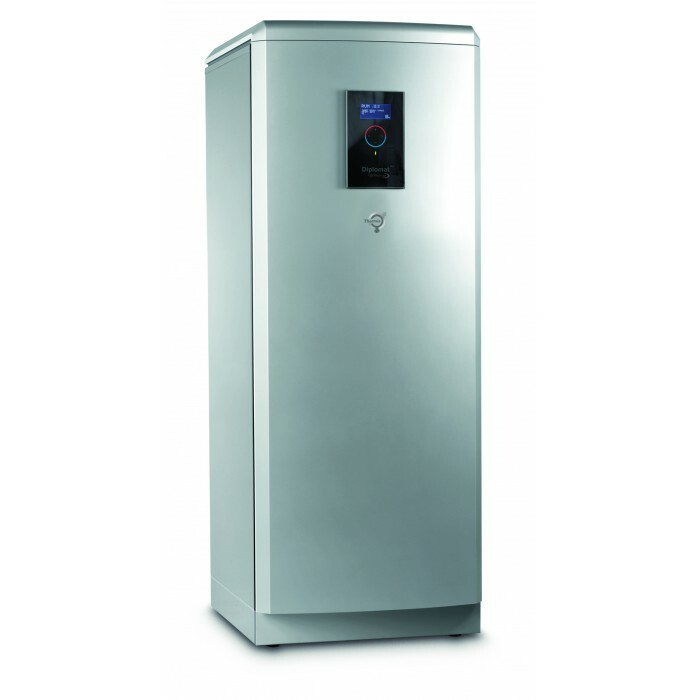 Thermia Diplomat Duo Optimum G3 is a ground source heat pump that offers you superior annual efficiency* thanks to its unique technical solutions. It allows you to reduce your energy consumption by up to 75%. The Optimum technology ensures that the heat pump always works under ideal conditions, which further reduces the overall energy consumption. Our HGW** technical solution utilizes the regular space heating to also produce hot water. The result is that when the heat pump heats your home, it generates hot water at the same time. The built-in TWS chnology*** means that the hot water is produced faster and at higher temperatures than with traditional techniques. With G3 you can customize a one-system solution that meets all your requirements, including heating, cooling, pool heating and in combination with additional heat sources. With the optional accessory Thermia Online you have the ability to remotely control and monitor your heat pump via a computer, tablet and smartphone.